Posted: Friday, December 23, 2016. 5:02 pm CST. By BBN Staff: Today a ceremony was held for the official opening of a brand new police station in the village of Armenia. Village residents have requested increased police presence for some time and the station will ensure a constant presence in the community. Officer commanding Belmopan police, Sr. Supt. Howell Gillett says that their response time will be cut in half with this station. “This is the single greatest infrastructural achievement in my tenure in the Belmopan police jurisdiction,” Gillett stated. He thanked the UNHCR for its assistance in constructing the station. 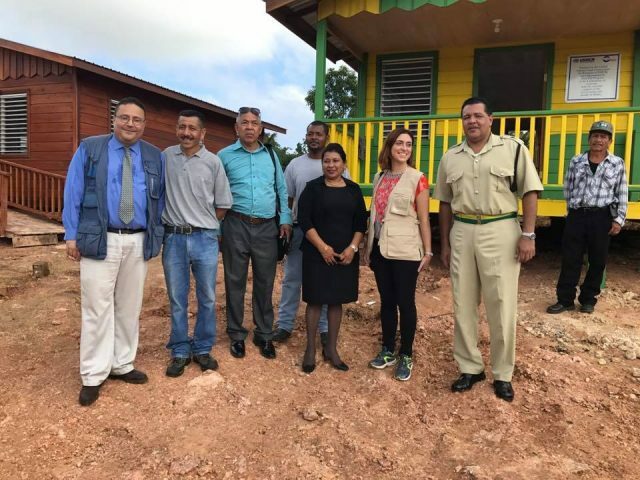 Belmopan police will now move to Valley of Peace to open a second station there.